Seen from the outside, I was carrying a heavy bag across the wharf, to board a big blue ship on a gloomy afternoon in the port of Ushuaia, Argentina. On the inside, I was riding a unicorn that was flying me along rainbows to the destination I’ve been dreaming about for the last three years: Antarctica. 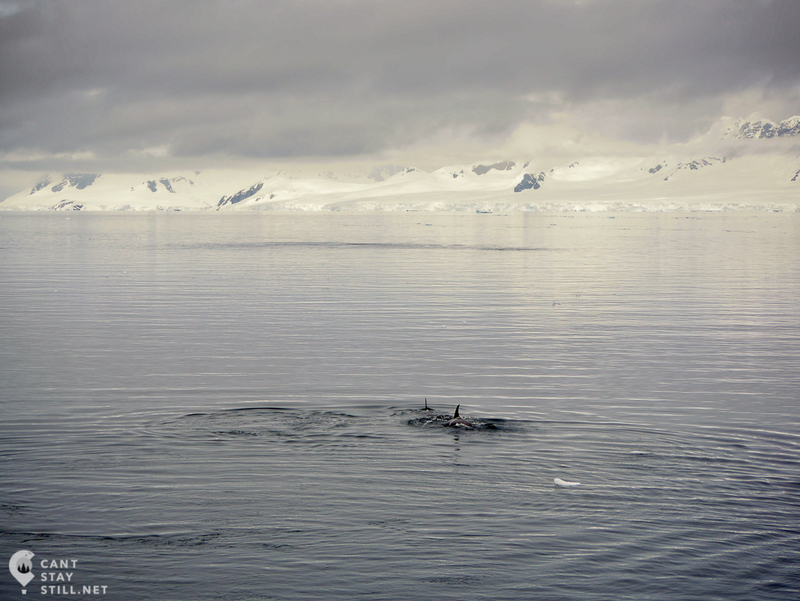 … we just sailed past an iceberg used as a lounge by two lazy leopard seals, 5 minutes before that, we crossed paths with a pod of humpback whales. From my porthole I see penguins jumping out of the water, the snow-covered peaks on some nearby island and a sky that doesn’t get bluer than that. 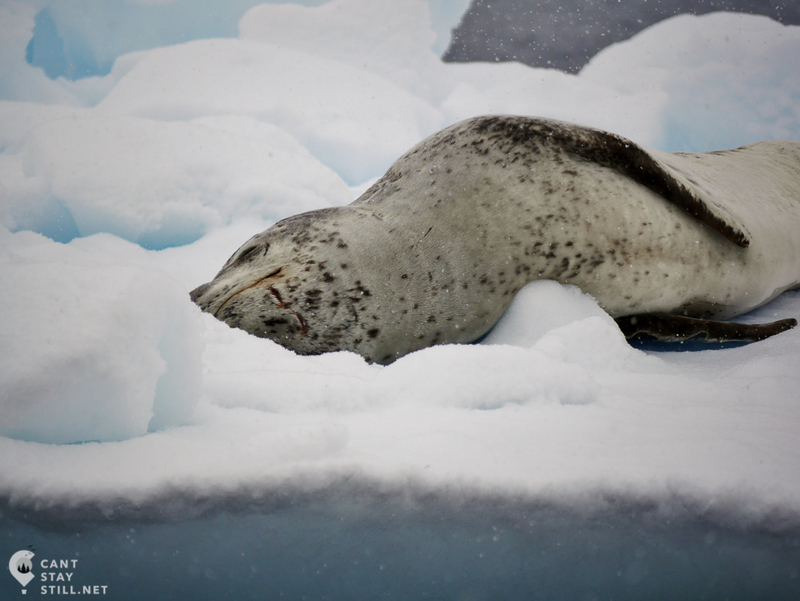 a lazy seal chilling on an iceberg. the teeth marks are probably from a recent dispute with a fellow seal. …this morning I woke up to a light snowfall and some star-shaped mini-diamonds accumulated on my bivouac sleeping bag. 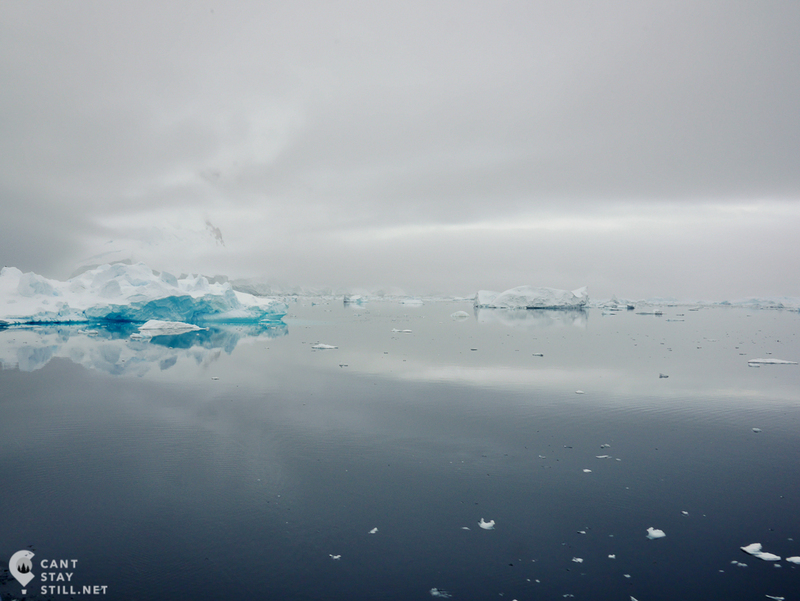 I opened my eyes to the clear skies above me and the icebergs floating in the soft morning light. The last thing I remember before falling asleep was the loud adelie penguin that came to check out the camp and was obviously annoyed with the human intruders. …today the wake-up call was one hour earlier than normal so we can take in the views of the Lemaire channel before breakfast. The ship was sailing this narrow waterway flanked by rocky islands and dotted with icebergs peeking out of the perfectly still water. The weather was somewhat murky, with low clouds and fog that blurred the horizon. It felt like the earth and sky are one and the ship is sliding on a mirror floating in the empty universe. This is it – the end of the world! 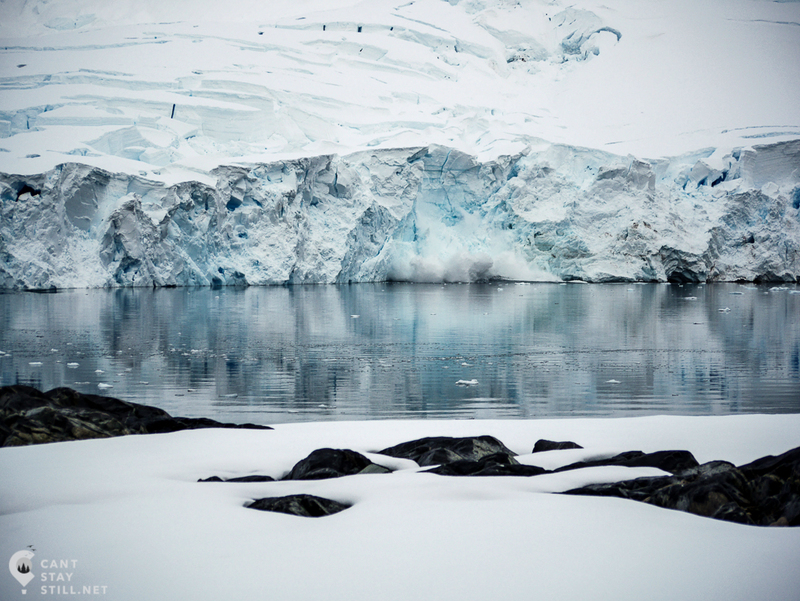 Antarctica is not only the 50 shades of blue and the cold wind that whips your face. 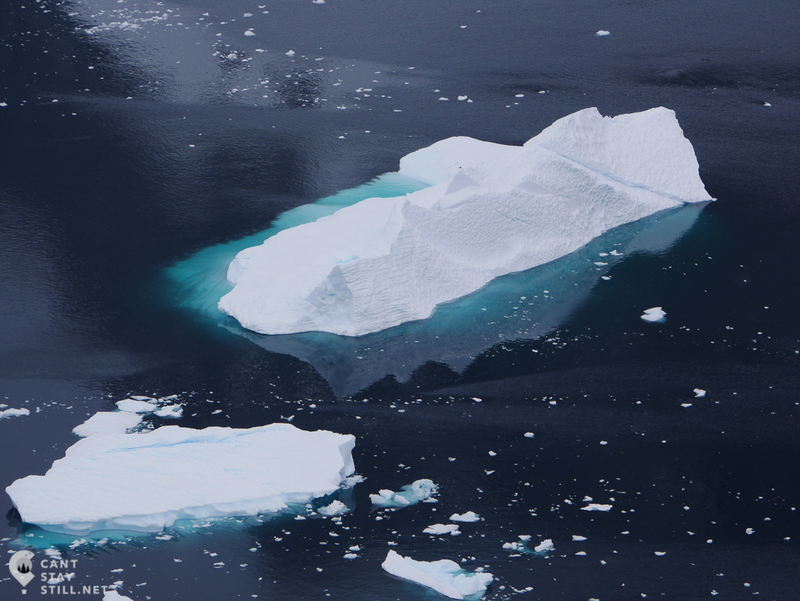 It’s the way your heart stops when you hear the icebergs carving in the soft sunlight at 3 am. It’s how you forget everything about life back home when that minke whale is so close to your zodiac that you can reach your hand out and touch it. It’s the feeling that the earth ends where the fog starts and still wanting to go further because the nothingness calls. It’s the fuzzy feeling you get looking at the clumsy penguins trying to make their way on their paths on land and not understanding how they magically turn bullet-fast in water. It’s the constant heartbreak of returning to the ship because returning to the ship means you are one landing closer to the last one and one step closer to going back to civilization. And why would anybody want civilization when you have perfection?